Snarky Marcie: How to be a normal parent. Mostly, crappy parents make the news. Last night, I stayed up far later than I really should have, and much, much later than I would normally. What kept me up? It was a string of sad stories involving children. They were not all due to poor parenting, only about three quarters. Why would you read depressing stories? Fun fact: I'm just like every other normal human being, and I get sucked into social media. Facebook catches you reading one story and then it presents stories with similar content. Having hundreds of friends sharing content, when a theme of stories pops up...it's hard to look away. So, I lost some sleep that night. It is a situation that has repeated itself several times since I became a mom. In my younger days, I would have told you that nothing really scared me. I had no fears, only possible difficult situations. Now, my biggest fear is losing my child. Ugh, another parent post...but I don't have children, I don't like animals, and I just cannot relate. Just calm down, read this anyways or go back to surfing Pinterest. So, I stayed up way past my bedtime and struggled to coexist with people today; but, I'm okay with that. The amount of passion I have for my child, so much that the experiences of other toddlers makes me lose sleep and pray a lot, makes me proud. I feel this standard should be normal for parents. 5. Remember what parenting is all about. 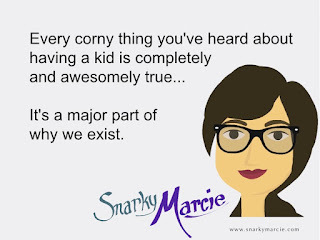 Every corny thing you've heard about having a kid is completely and awesomely true... It's a major part of why we exist. Parents shape the lives of another human being. If you don't think parenting is amazing, I really hope you're not a parent yet. Sure, it's tough at times. You find yourself home on a Saturday night with vomit on your shirt and a little one who is only calm if you cuddle them while watching Daniel Tiger...which causes you to have the worlds most addicting, ear worm songs stuck in your head for days. But, they need you. You're the first one they will blame and the first one they will need comfort from. #SorryNotSorry. 4. Pray hard for the parents that don't get it. I try really hard not to be an over opinionated parent, at least not in public...you know, in someone's face. 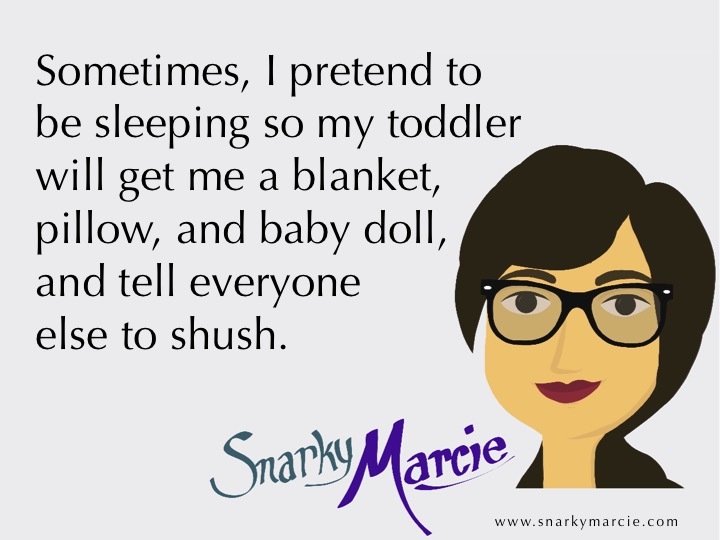 It's very difficult for me to hear that you are sending your baby to bed with a blanket before "they" say it's okay. It pains me to discover you're co-sleeping with your newborn. But, as long as I'm caffeinated properly, I won't call you out because I truly believe you're doing your best and doing what is needed to survive. On the other hand, the parents who lose their little one because they watered down the formula, or failed to feed them altogether make me mad. If I meet you, no matter the caffeine level, I will struggle not to punch you in the face. The number one rule of parenting is that you accept life is no longer about you, so if you're failing to nourish your child and you don't get help, I have nothing but prayer and contempt for you. 3. Remember you can't be selfish. It's the hardest thing I had to accept when becoming a mom. It was made easier with the gradual life of pregnancy where you slowly lose your ability to do common things. A paper that you need falls on the floor, but you can't bend over...so, you accept that your needs are important because you can't reach it anyways. Gosh, it's so true. My little one is almost 2-years-old and I can't believe it. She's a little person now and every day she's becoming more independent. Don't waste time putting yourself first. Give your children your best. #TOTO (They're Only Toddlers Once). 2. Cover the basics, and let the rest ebb and flow. Feed them; clothe them; bathe them; comfort them; educate them; protect them. You know the basics on what to do to ensure they are healthy and semi-respectable. That is your foundation. The rest, is really left to interpretation and trial. If you let your little one drink red pop, and they bounce off all the walls well into the night...call it a lesson learned. There is a lot you can learn from doctors and other parents, but you need to do what is right for you and your family. #BetterLuckNextTime. 1. Define your own normal. We can get technical and state that normal is defined by society. It is a group think type of thing. But, sometimes life is about making your own definitions. In my house, normal includes going to bed with at least two books. Sure, this is usually Layna (I personally only fall asleep with books by mistake), but it works for us. It is also normal in my family for the television to always be on. That's crazy. Television will rot your brain. Our television isn't always on garbage shows, but it is sometimes. We keep it appropriate for Layna, but it is generally on. If I'm not really watching anything, the Food Network will be playing or PBS or HGTV. This 'normal' was brought to light when my little one would wake up in the morning and see a television that was off, and say 'uh oh'! Maybe I should not be proud of the amount of time our television is on, but we also read, draw, paint, create, and spend lots of time outside. Judge us if you need to, but know that this is how we choose to define normal. #BeYou. Thanks for subscribing to my blog! Now, it's time to follow me on Pinterest. Go ahead, click here and repin a few things. You know you want to.